We developed a new brand, complete with a new name, for the charity formerly known as Calderdale Parents and Carers. 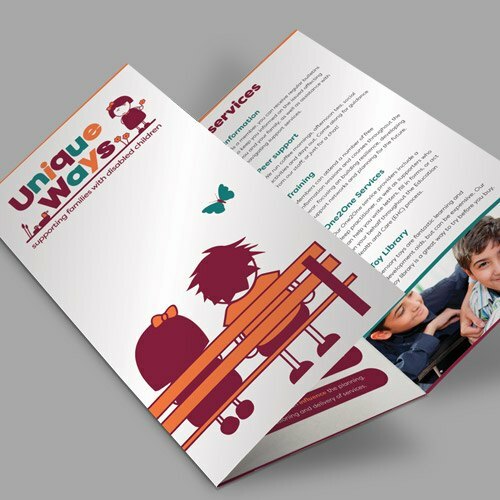 Unique Ways, formerly known as Calderdale Parents and Carers (CPC), is a charity based in Halifax, West Yorkshire, providing support and services to parents and families of disabled children and young people. The charity’s goal is to make sure that the voices of parent carers are heard and can shape the services they use. Many of the staff are carers themselves. Calderdale Parents and Carers wanted a complete rebrand, with a new name and website. 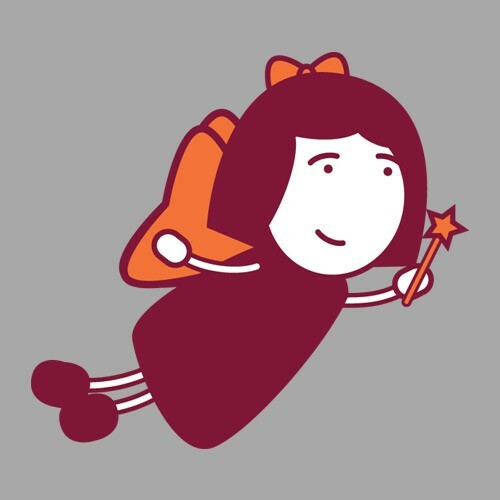 They wanted a brand and image that was positive, yet didn’t shy away from the challenges faced by parent carers and disabled children. The new website also needed to provide much more information about the charity’s services, enable new members to sign up online, and be compliant to AAA accessibility standards. The first stage of the project was the charity’s new name and branding. The idea was to represent the journey through life that each parent carer takes with their child, with original suggestions including Along the Way, Around and About, and Scenic Routes. One of the initial challenges of the project was that the name would obviously need approval from several different groups – the charity leaders, parent groups, and partners. With none of the original suggestions quite hitting the mark for everyone, we came up with Unique Ways, which we felt perfectly represented the many different experiences people using the charity’s services would have. This proved to be the winning option. As a charity with a family focus, the branding needed to be colourful – CPC also wished to merchandise the brand at a later date, so our design team created a number of characters to populate the site and serve as logos. With the brand in place, it was then time to plan the new website. We created a sitemap to make the user journey through the site as straightforward as possible – CPC had various different subsections, so our outside perspective was useful in helping them display the relationship between these different groups in a way that made sense to newcomers. Bringing the new branding to life on the screen meant getting creative with the new characters our designers had created, supporting these with assets and icons in a similar visual style. 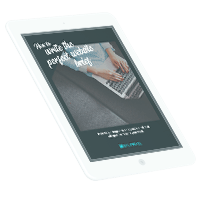 Accessibility was a major focus for the client – the site needed to be easy to read and digest for anyone. The site’s content was given plenty of room to breathe, with clear signposting and a responsive design that would still work even when text sizes had been changed. We also created different colour schemes for users to switch between if they had trouble reading one – which meant making sure all assets worked with every colour scheme. New brochures and banner designs for events were also required in the new branding, so we designed and wrote content for these too. We worked closely with the Unique Ways team to create descriptive content and on-site resources, and helped the charity set out their mission statements and service offerings in a straightforward and easy-to-understand way. We wrote with a very inclusive, welcoming and friendly tone of voice, trying to replicate the passion and warmth that visitors to the Unique Ways office would experience. The site was built in WordPress, with an easy-to-use CMS for the team to update news, events and service pages. Making sure the site met AAA accessibility standards meant including features that allowed users to easily change text size and colour schemes, so making sure the site was fully responsive was a bit more involved than usual – an interesting challenge that we can now replicate whenever needed. For a new brand based on being unique, with a team of truly dedicated and caring people behind it, the same old stock photography wouldn’t do. We added to the site’s graphic designs with new photography, including a team photoshoot at the Unique Ways offices, and a day out to Eureka! in Halifax to capture some colourful shots of parents and carers involved with the charity, and their kids, doing what Unique Ways does best – supporting families, and spreading smiles. The final touch was a video, introducing a bit more about Unique Ways’ services. We scripted, filmed and edited a 10-minute video complete with talking heads and footage from Unique Ways meetings, telling the story of a member’s experiences with her son, and how the charity had helped her. We loved working with Unique Ways, and their incredibly passionate and dedicated team. Our work on the site has seen organic traffic increase fourfold in the first few months. We’ll continue to support them with website maintenance, and anything else they need from us, including new projects! First class service, prompt, professional, and at a reasonable price. Splitpixel were commissioned to deliver a full rebrand and new website for our organisation. They worked closely with us on all aspects and delivered exactly what our brief asked for. Would highly recommend, so much so we are working with them on another project.